I get the warning There were undefined references. 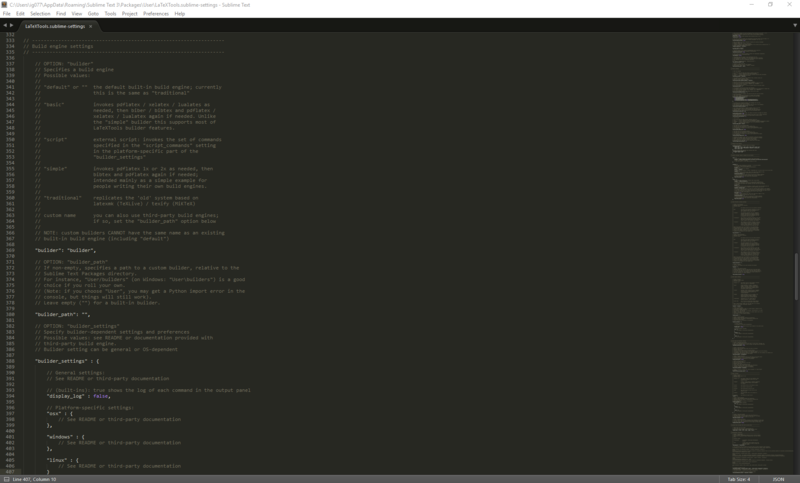 However, my editor is only set up to run BibTeX. How do I go about setting up my editor/IDE to be able to run Biber, and how do I run the LaTeX/Biber/LaTeX cycle? Each answer should be for one editor. 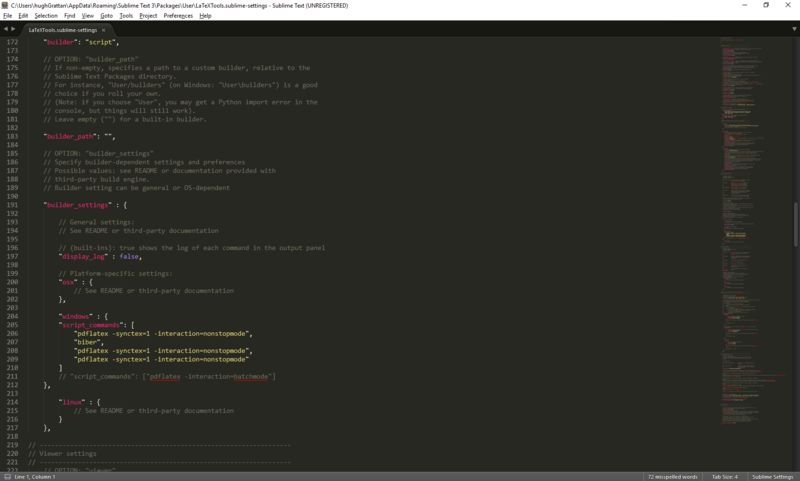 If the editor is cross-platform, if possible give a single answer with notes covering the minor platform variations. 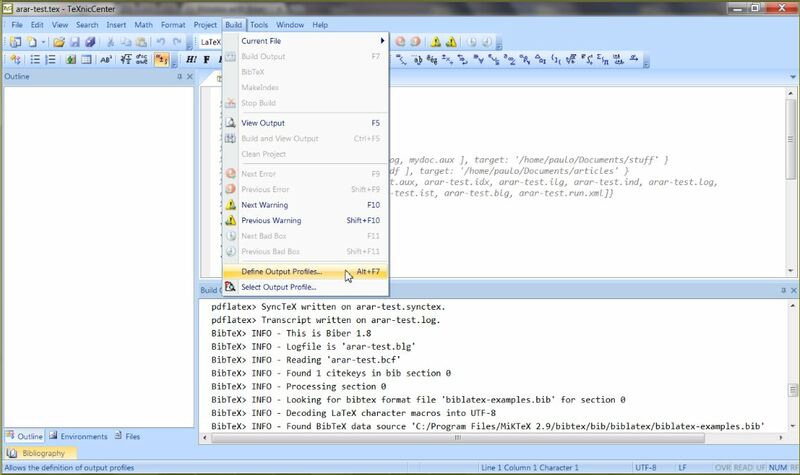 In the current release (2.12 branch), TeXstudio's build process ('Build & View') by default runs pdfLaTeX but not a bibliography tool, which you need to do separately. 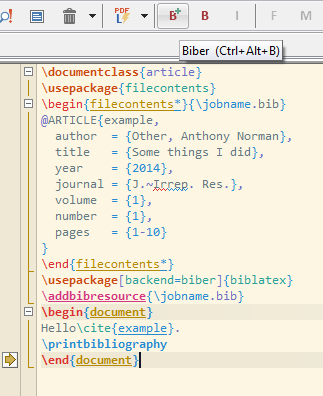 There is also a need to change the settings to run Biber rather than BibTeX for creating a bibliography. 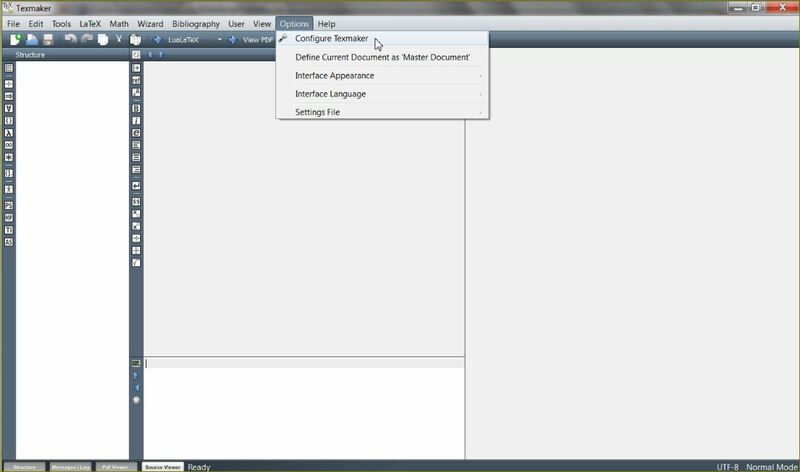 The configuration step sets Biber as default bibliography tool. 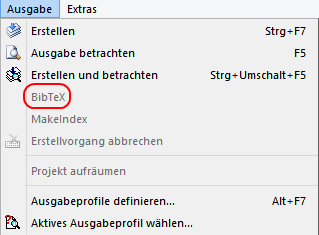 In the TeXstudio preferences ('Preferences ...' on the Mac or 'Options -> Configure TeXstudio' on Windows), choose the Build tab and alter the 'Default Bibliography Tool' to 'Biber'. Save and close the preferences. is run. Manually this can be done as follows. Run 'Bibliography' from the 'Tools' menu. Run 'Build & View' again: the bibliography will appear in the PDF. 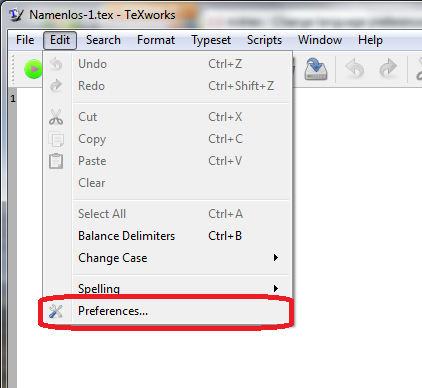 It is possible to set up TeXstudio in alternative ways to achieve the same effect. The key is that you have to run the compile sequence LaTeX, Biber, LaTeX, which can be done 'by hand' (as I have) or can be automated in various ways. Note that the same general idea applies whatever editor is used: this is a feature of LaTeX and not of the editor. This will make biber as the default for all documents. 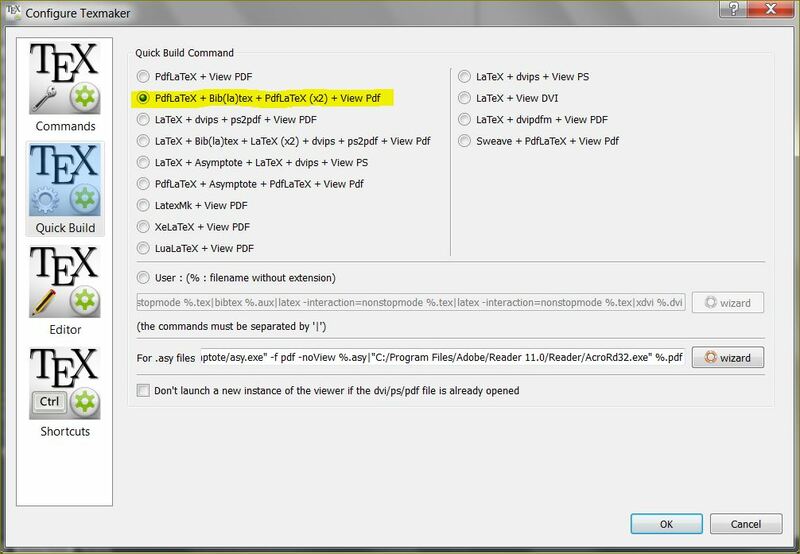 Now your quick buid button should run pdflatex → biber → pdflatex → view pdf. In all steps above, don't forget to press OK in all windows before exiting. Now, you can choose to run (only) biber as standalone when you wish. or customizing that variable with M-x customize-variable RET TeX-parse-self RET. Most AUCTeX users enable parsing, probably you've already done that, check it before adding the above line to your .emacs. To see the value of the variable issue C-h v TeX-parse-self RET. As in the previous version, C-c C-c (TeX-command-master) prompts for biber/bibtex when the .bbl file is newer than the .tex file (but now it prompts for the appropriate bibliography processor, and not always biber or bibtex). In addition, if you use the toolbar, in this version the bibliography button will automatically switch between Run BibTeX and Run Biber. In this version, the variable LaTeX-biblatex-use-Biber is local (and no more customizable) for cases in which AUCTeX fails to automatically detect the correct processor. Version 11.87 is the first release of AUCTeX supporting biber by default and you don't need to add that processor to the command list. You can always run biber by hand with C-c C-c Biber RET. line, C-c C-c prompts for biber or bibtex processor when needed (ie, if the .bbl file is newer than the .tex file), depending on the value of the customizable option LaTeX-biblatex-use-Biber, which defaults to t. But until version 11.87, AUCTeX isn't able to automatically choose the bibliography processor, which is set in a LaTeX document with the backend load option of the biblatex package. Unfortunately, the bibliography button on the toolbar is always bound to Run BibTeX, even if LaTeX-biblatex-use-Biber is set to t.
In the TeXworks preferences ('Preferences ...' on the Mac or 'Edit -> Preferences' on Windows/Linux, choose the 'Typesetting' tab. then OK this box and the preferences. 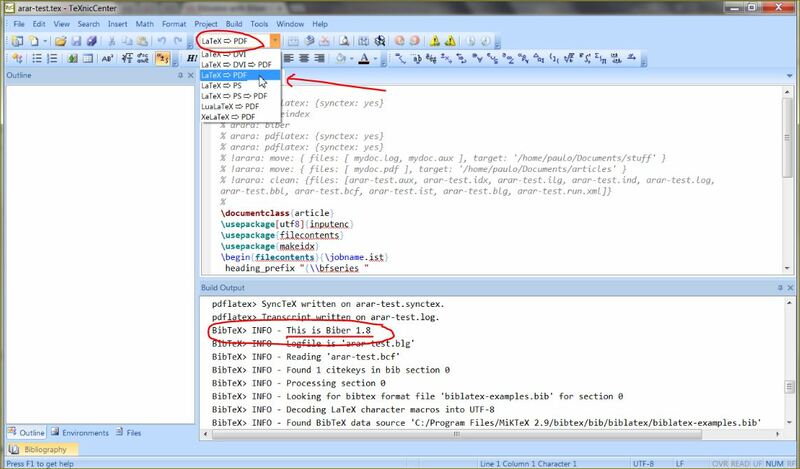 If 'biber' can not be found if the Program entry reads only biber, you can browse for the full path filespec/biber.ext to the Biber executable. But this should usually not be necessary. 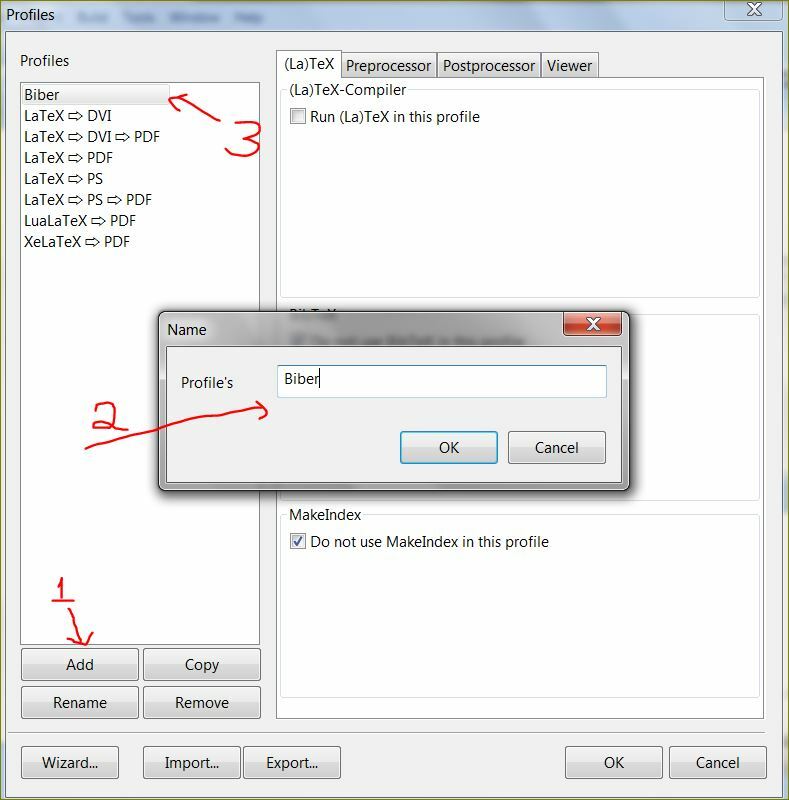 To compile the document using Biber, first run pdfLaTeX (or XeLaTeX/LuaLaTeX) as normal, then choose 'Biber' from the dropdown and run it, before going back to pdfLaTeX and running it. 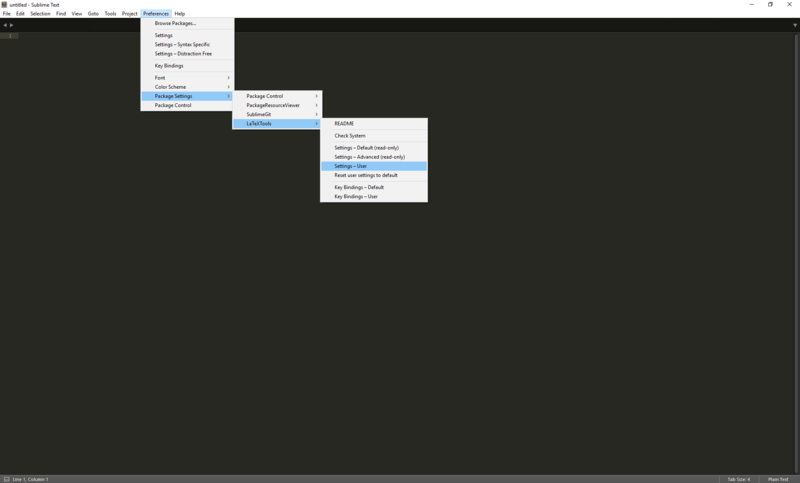 Build tools such as latexmk or arara can be set up in a similar way, probably leaving 'View PDF after running' ticked. In this way, each time you launch the command BibTeX, WinEdt will execute Biber. Even when you launch commands like PDFTeXify (and using MiKTeX's texify.exe as engine), WinEdt will be able to compile the bibliography with Biber. 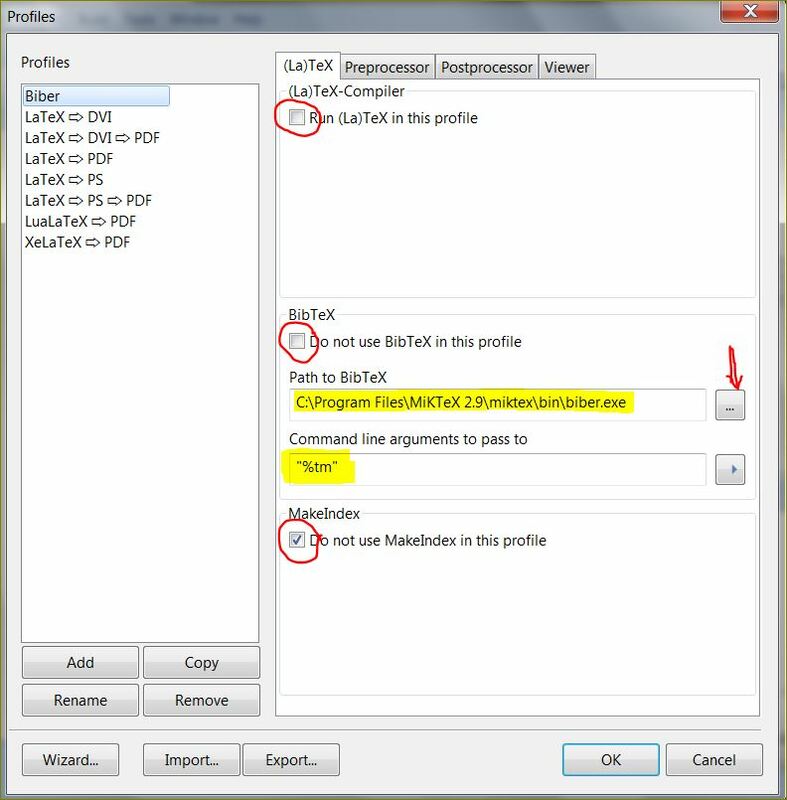 For WinEdt versions 7 and above, there is a configuration component called "LaTeXify" available on http://www.winedt.org/config/menus/LaTeXify.html. It is provided with an install and an uninstall macro. After installing it, you will have the chance to run either BibTeX or Biber, through toolbar buttons, menu items or keyboard shortcuts. 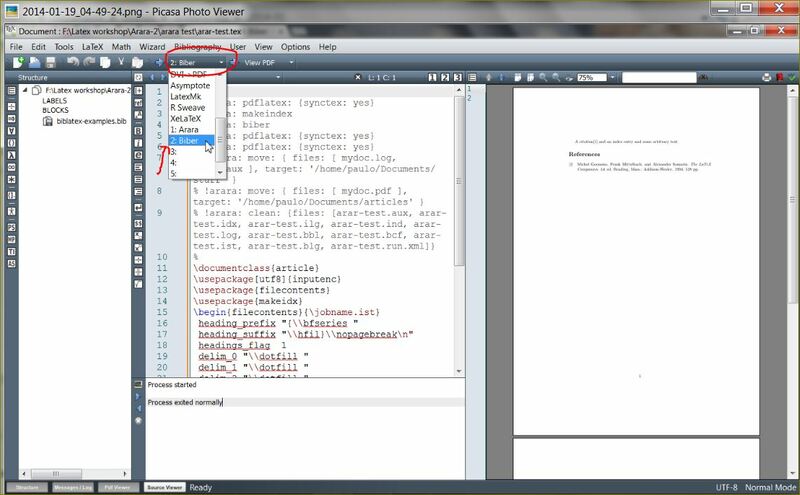 Apart from Biber, the add-on LaTeXify also adds commands for automated compilations, like PDFTeXify. 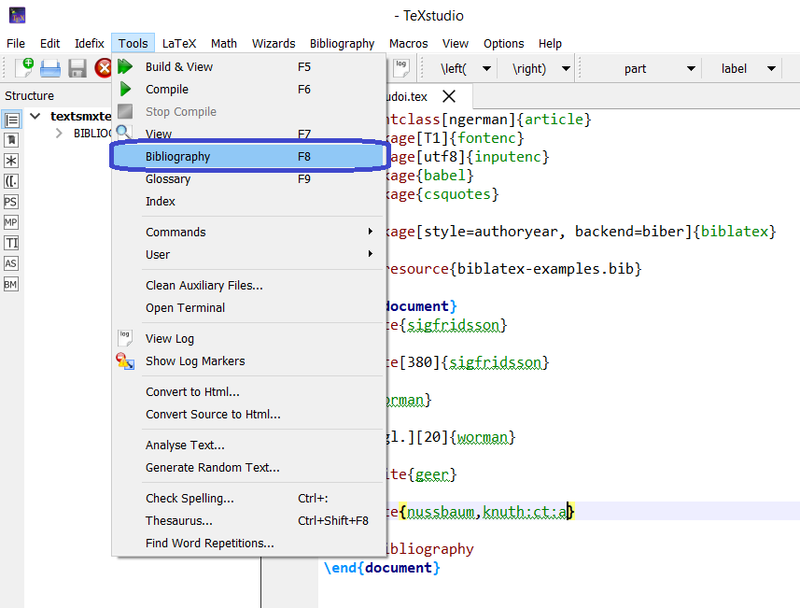 If you want to make biber the default bibliography tool, you can simply change it in the TeXShop Engine preference panel. Now the command is accessed in the same way that you would access bibtex: from the Typeset Menu choose Bibtex (Command-Shift-B). Since most of us who are switching to biber still have documents which use bibtex it is often more useful to specify the bibliography engine directly in the document in the same way that other engines can be specified. See the following question for a full description of these possibilities. When and why should I use % !TEX TS-program and % !TEX encoding? 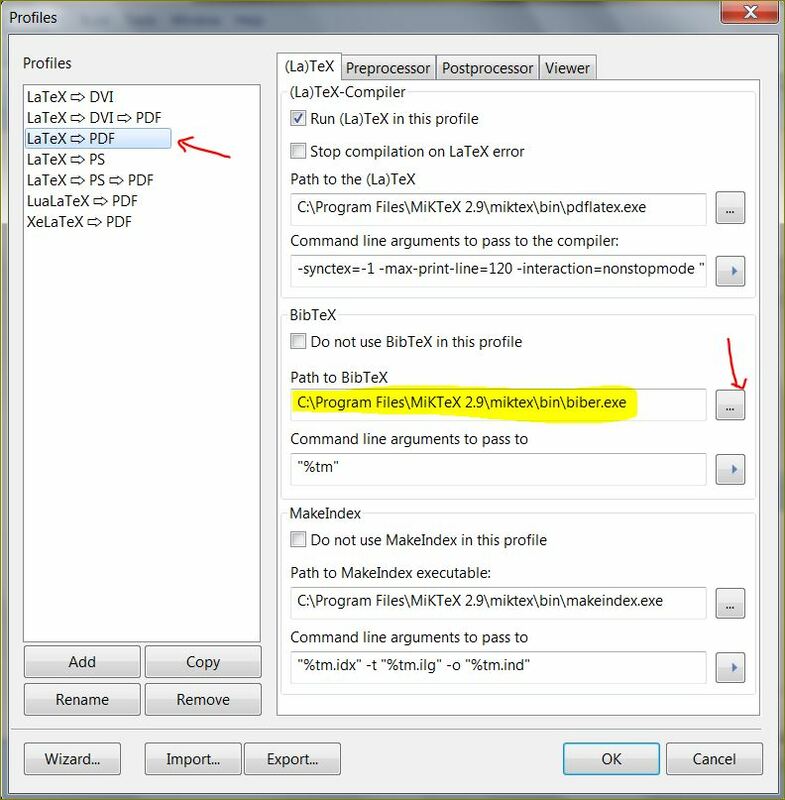 In the window that opens, choose any profile (say LaTeX → PDF) and make the changes for bibtex field as in the following figure (again you can browse the biber.exe, see red arrow on the right). 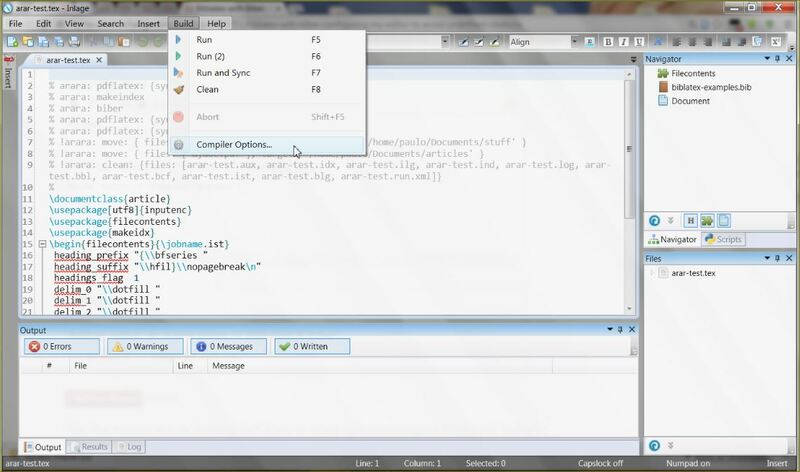 If you compile, biber is used now for all documents. Un-check Run (La)TeX in this profile. Un-check Do not use BibTeX in this profile. Check Do not use MakeIndex in this profile. 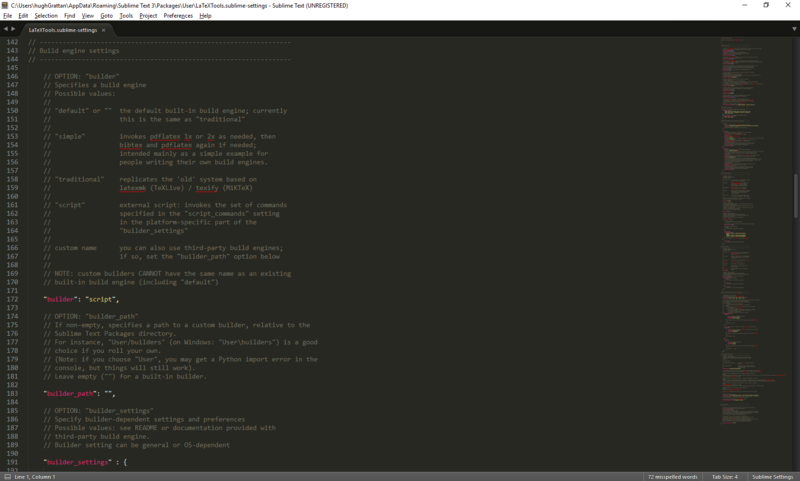 Fill in the content for Path to BibTeX. You can also browse to biber.exe (see the red arrow to right). 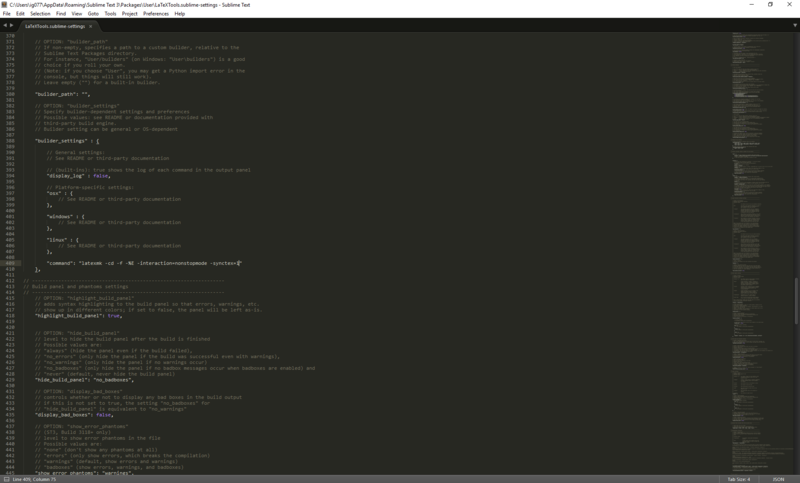 Fill in the Command line arguments to pass to as shown. In all steps above, don't forget to press OK in all windows before exiting. This answer is adapted from the TeXStudio answer. 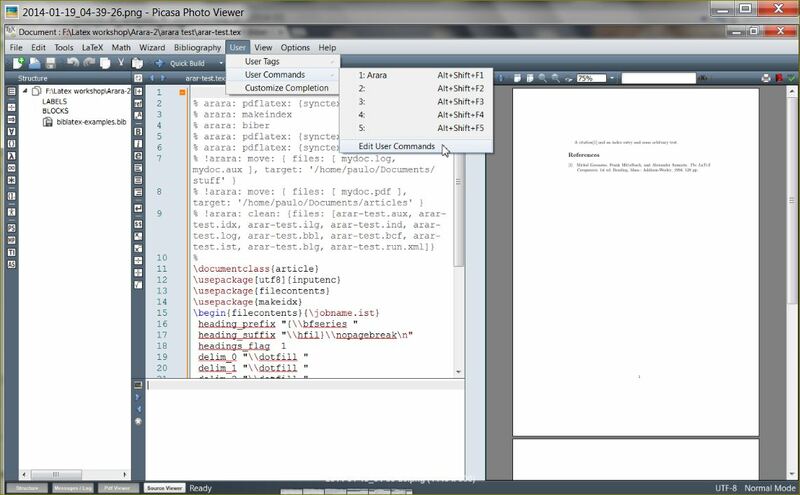 Kile's build process may or may not run a bibliography tool in addition to running LaTeX or PDFLaTeX. It will depend on precisely which Build option is run. In some cases, then, you may need to run the bibliography tool separately. which can be done 'by hand' (as I have) or can be automated in various ways. Note that the same general idea applies whatever editor is used: this is a feature of LaTeX and not of the editor. 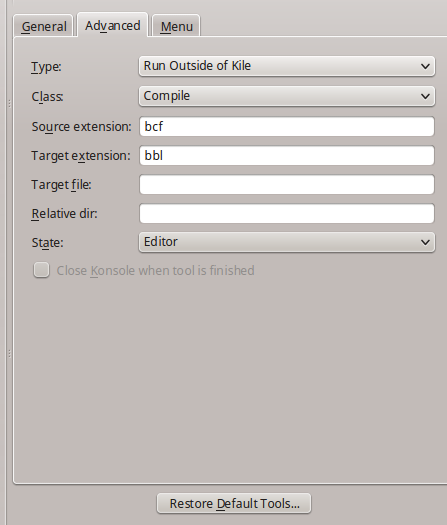 In Kile, open the preferences dialogue using 'Settings -> Configure Kile...'. 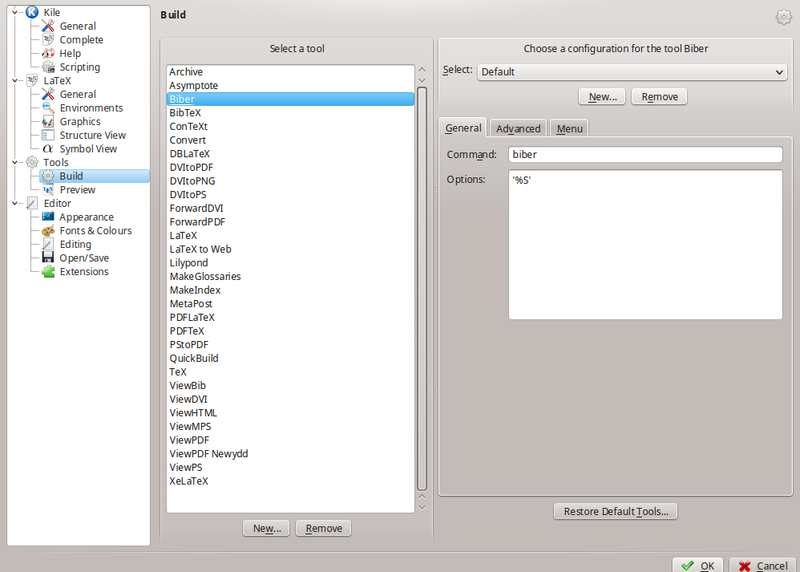 Choose 'Tools -> Build' from the menu on the left. Under 'Select a Tool' there is a button 'New...'. Click this to create an option for Biber. When asked for a 'short descriptive name', type Biber and click 'Next'. 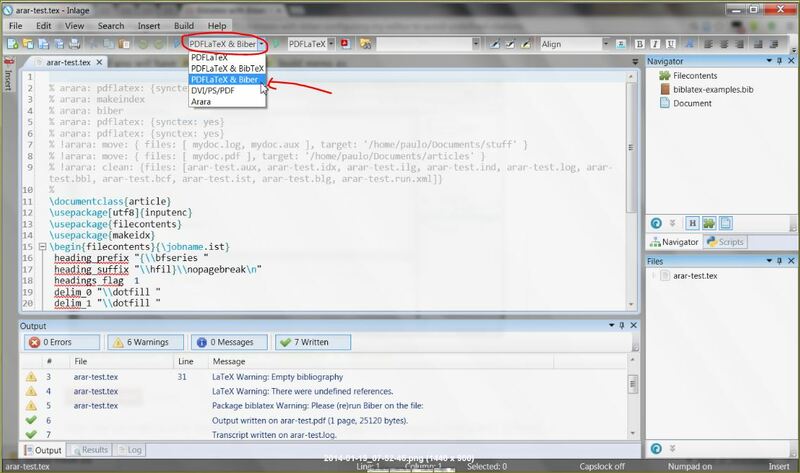 From the dropdown menu, set the class of the new tool as 'BibTeX' and then click 'Finish'. 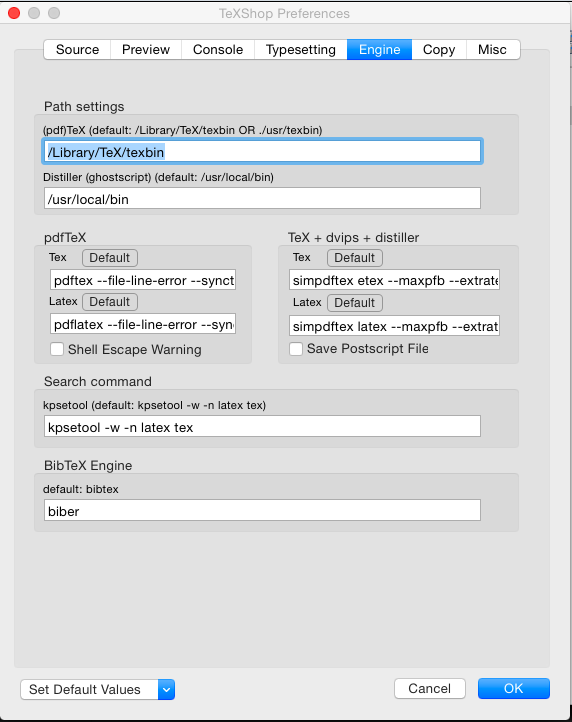 This means the new tool will inherit BibTeX's settings as a basis. 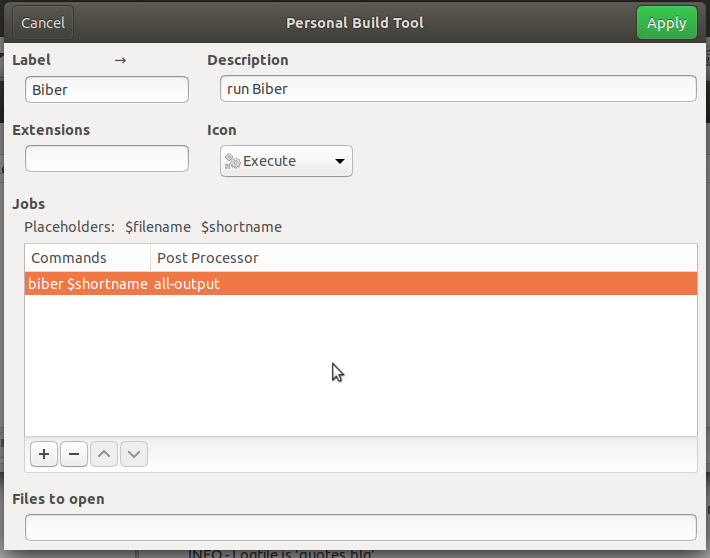 To configure the new tool, choose 'Biber' from the list under 'Select a tool'. On the right, you now have a detailed set of options. Leave the dropdown menu at the top on 'Default'. Then configure the options for the tabs underneath. Before applying your changes, check any build tools you use regularly from the list under 'Select a tool'. If any of these are set to run BibTeX, rather than Biber, change the commands appropriately. Click 'OK' at the bottom right of the dialogue. For more on using Biber with LaTeXTools, see this wiki page. There are a few options depending on your OS and preferred configuration. On these platforms, LaTeXtools' default (or "traditional") build engine uses latexmk by default. 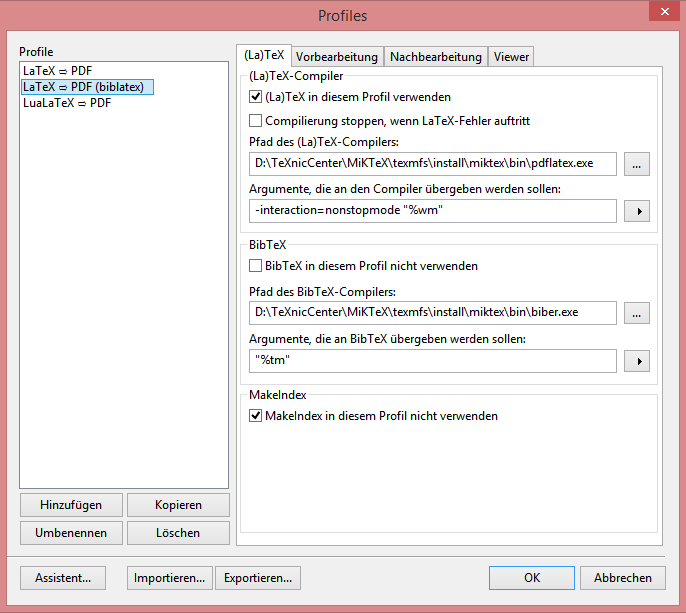 latexmk, in turn, supports biber+biblatex out of the box as of version 4.22 (at least in principle; there have been a few bug fixes since then regarding biber). Hence it doesn't make any difference for LaTeXTools whether you use bibtex or biber because it only cares about your .bib files (whose format does not depend on your choice of bibtex/biber) and supports both \bibliography and \addbibresource. 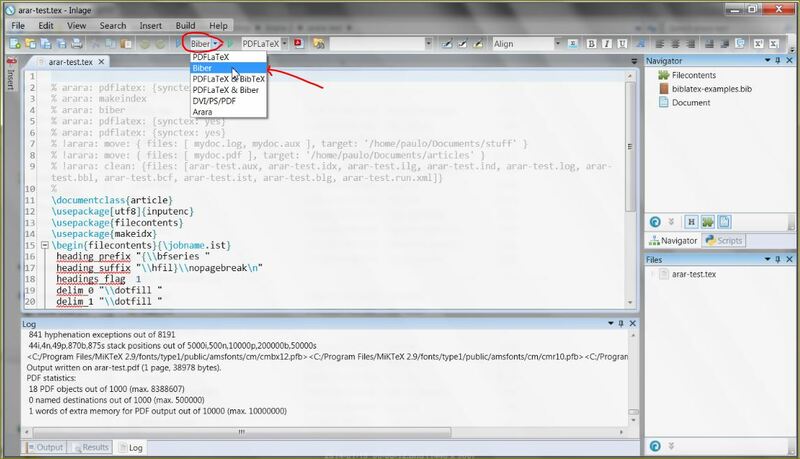 Pressing Ctrl+b to build should be all you need to do. Put differently, if you experience any issues, try $ latexmk <yourtexfile>.tex on the command line first. 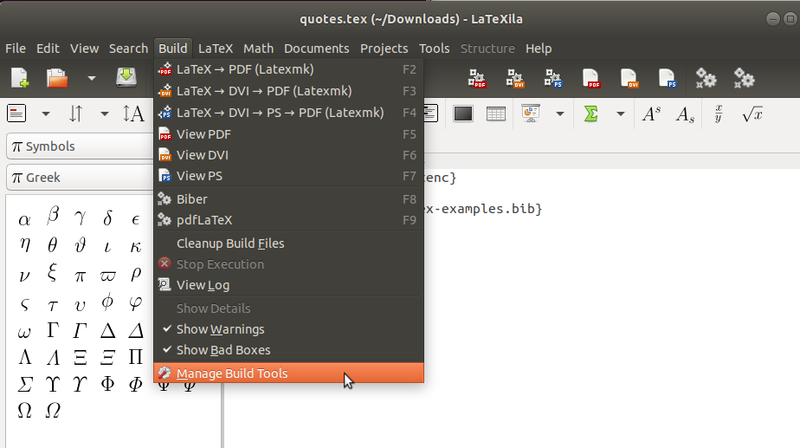 With MikTeX, LaTeXtools' default builder will use textify. Unfortunately, texify doesn't seem to support biber. However, it is possible to install and use latexmk on MiKTeX. 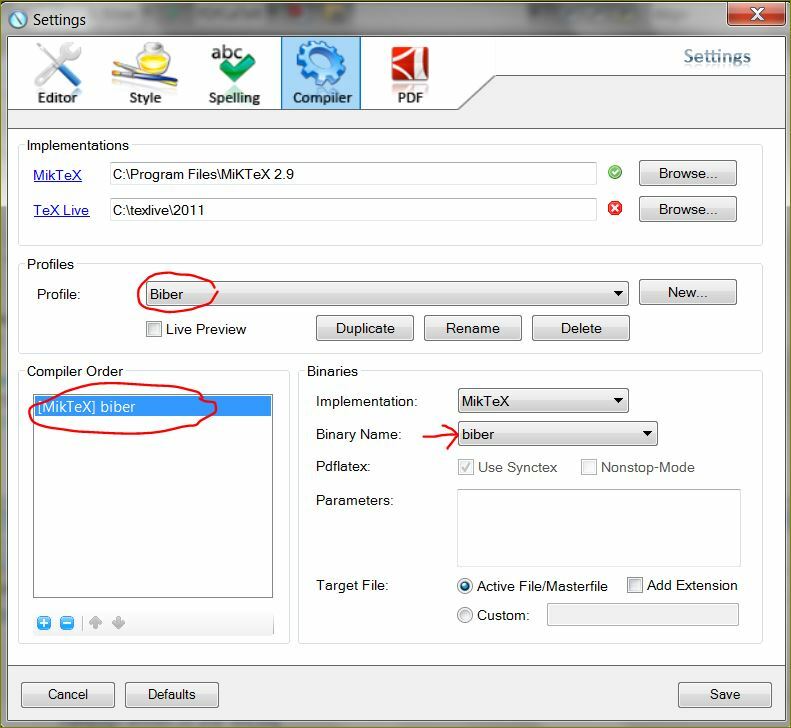 After installing latexmk on MiKTeX, navigate to the user settings. 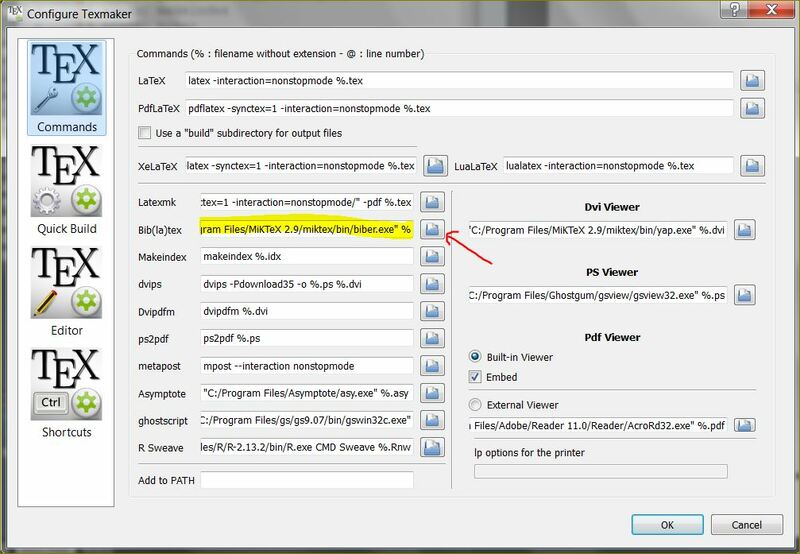 Then scroll down to the builder_settings block and add the line "command": "latexmk -cd -f -%E -interaction=nonstopmode -synctex=1" as shown. LaTeXTools provides a "basic" builder, which takes care of running pdflatex, then bibtex or biber as necessary followed by pdflatex twice. 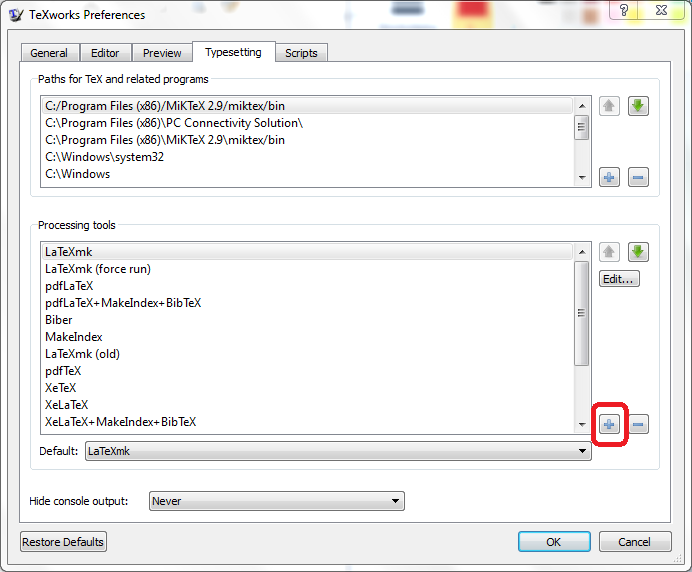 After installing LaTeXTools, navigate to the user settings. and you can use a script. 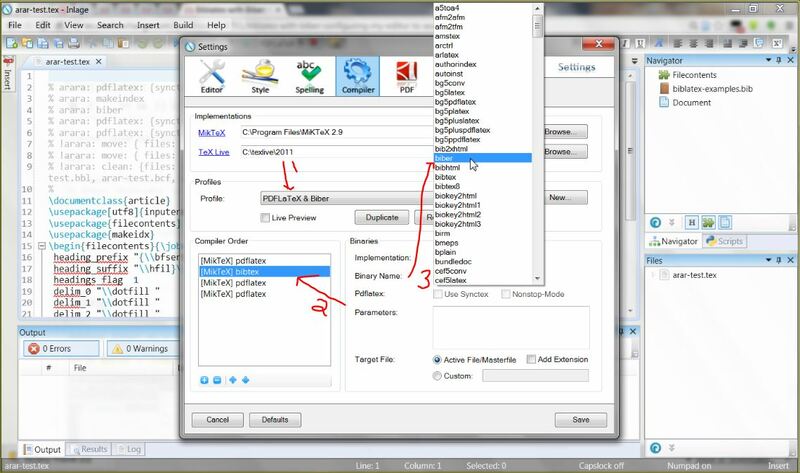 In the below example, for Windows, the build would run pdflatex then biber then pdflatex twice on the file. Press Duplicate to get a copy of PDFLaTeX & BibTeX. 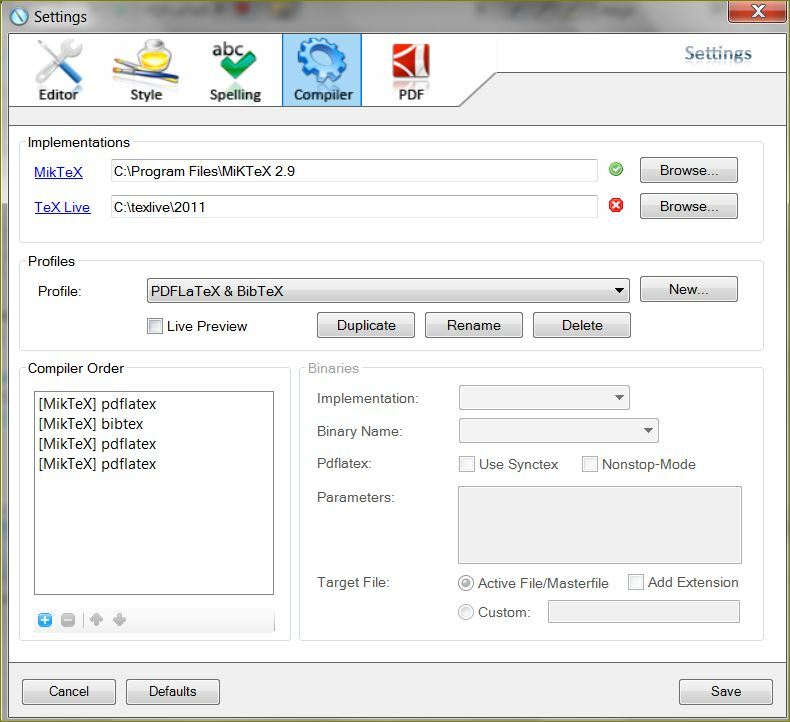 Which will execute pdflatex → biber → pdflatex → pdflatex. Go to Build → Compiler Options as explained above. 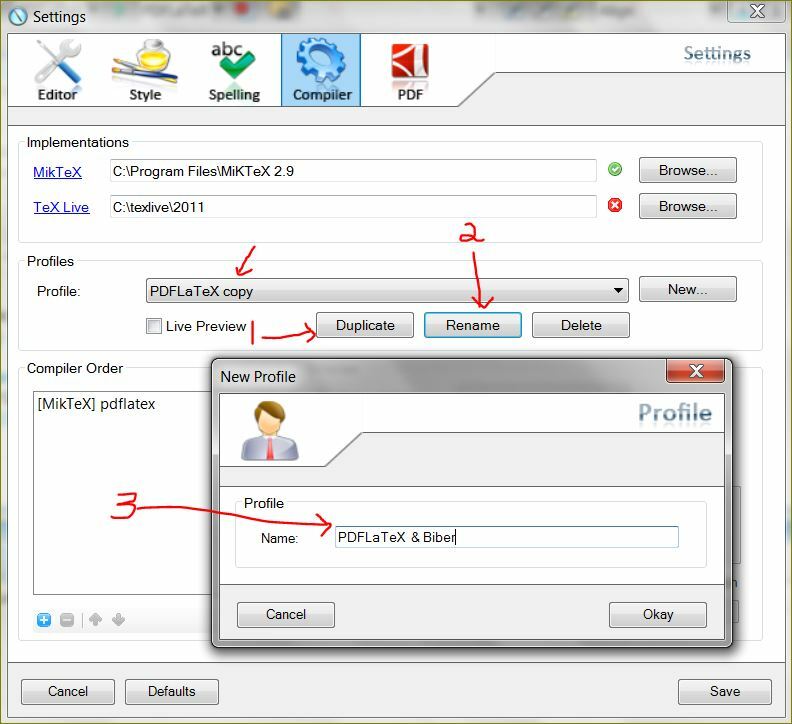 Press Duplicate to get a copy of PDFLaTeX. 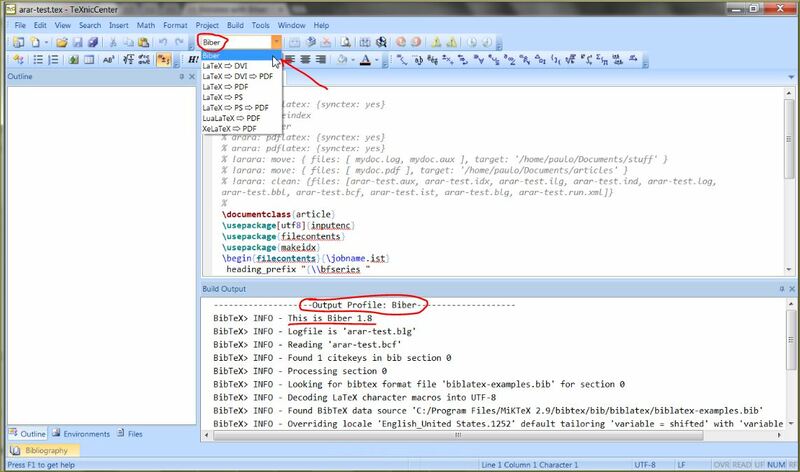 Now press Rename and rename PDFLaTeX copy to Biber as explained eariler. This will run only biber. Overleaf uses latexmk as the build tool behind the scenes, so bibtex or biber will be executed as needed, as well as re-running pdflatex. So there is no further action required on the part of the user. If, for whatever reason, you're stuck using Emacs without AUCTeX,1 you can configure the TeX print commands of TeX mode to use Biber instead of BibTeX. C-c C-b is useful if you want to test something out, but it creates temporary files with different names, so it is not really useful for sorting out bibliographies and crossreferencing, which depend on auxiliary files. Next, you can use C-c TAB to invoke either BibTeX or Biber. C-c TAB runs tex-bibtex-command, which is, by default, bibtex. After you've made these changes, you can then go through the LaTeX -> Biber -> LaTex compilation steps with C-c C-f -> C-c TAB -> C-c C-f. But really, you should probably use Emacs with AUCTeX, in which case see this answer. %\ selects the TeX engine. 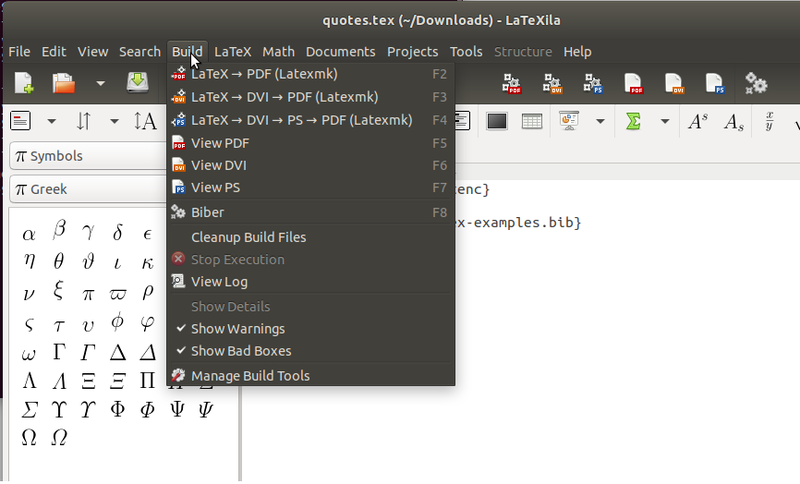 By default GNOME LaTeX (formerly LaTeXila) uses latexmk as a build tool. 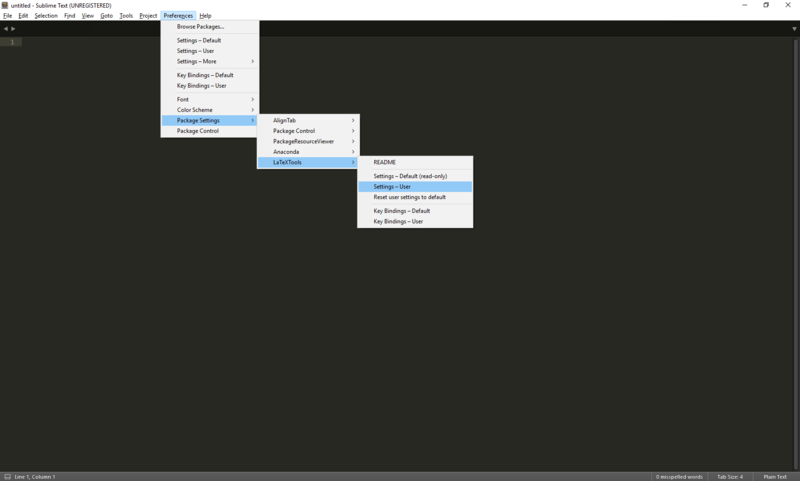 latexmk can automatically figure out if and when to run Biber, so there is no pressing need to actually set up that editor for Biber. The standard build settings will do just fine. 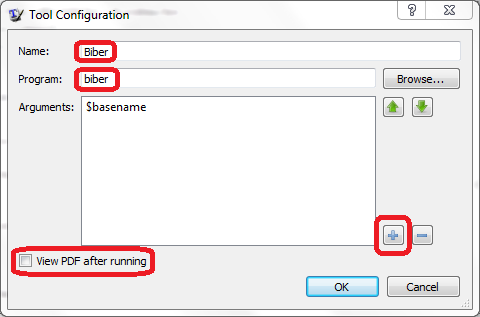 In case you do want to set up a build job to only run Biber, follow these steps. 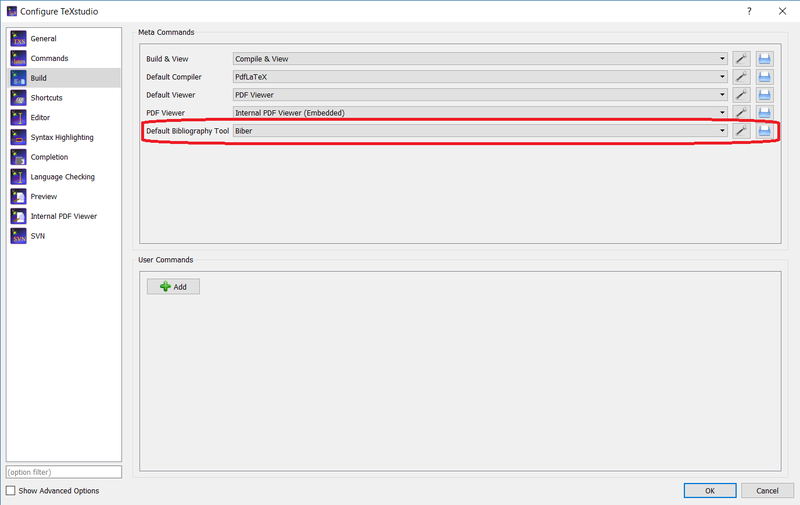 Now you can select Biber from the second (custom) group of the Build menu whenever you want to run it manually. Not the answer you're looking for? 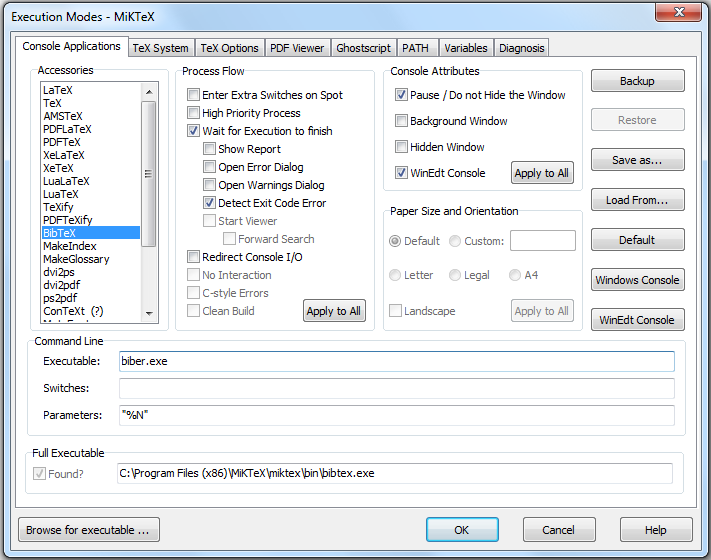 Browse other questions tagged biblatex biber editors big-list ide or ask your own question. How do I run Biber on TeXShop? Errors from compiling BibTex: \citation, \bibdata, and \bibstyle not found. How to properly make reftex work with multiple biblatex bibs?